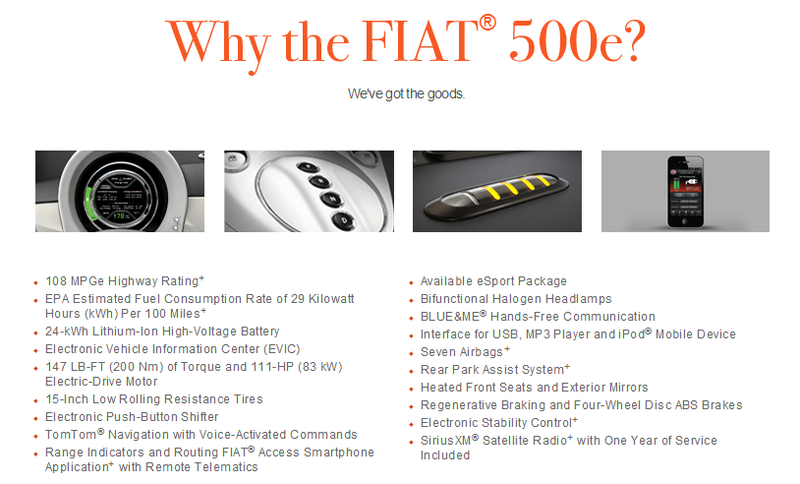 So why should we buy the Fiat 500e? Because the "EPA Estimated Fuel Consumption Rate of 29 Kilowatt Hours (kWh) Per 100 Miles+," or the "147 LB-FT (200 Nm) of Torque and 111-HP (83 kW) Electric-Drive Motor." Why do we need to know these facts? There's not a single line about the speed or the range! So it's not strange Fiat sold 645 cars in 2013 while Tesla sold more than 20 000 cars. Other electric car manufacturers are a little bit better than Fiat, but you still have spend time to find the information you need.